Important date coming up on my calendar: April 4th, my birthday. Nothing quirky about that! But in our house, April is Birthday Month with little presents arriving daily. 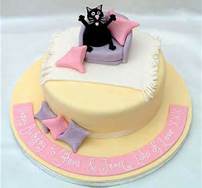 (Hmmm, maybe I could extend this to Birthday Season. I’ll try that idea out on my husband. I’m sure he’ll agree. Seriously, though, one error that pops up frequently in draft articles for our community newsletter is the use of capital letters on the seasons. Names of months, days of the week, and holidays all begin with capital letters, but, alas, the generic four seasons do not receive any special recognition so do not get capital letters. When you write for academic or journalistic purposes write your seasons like this: spring, summer, fall (and autumn), and winter. Of course, there are times when you should capitalization the seasons. ** Summer is my favorite time of the year, but winter in Florida is nice, too. ** Here is an article that does it right: “Spring Equinox Desert Reborn.” A season is capitalized in the title but not in the body of the article. Sorry, summer vacation, though it is, indeed, a very special time of the year for many people, does not merit a capital letter. 4. In poetry, when a season is given human qualities (personification). 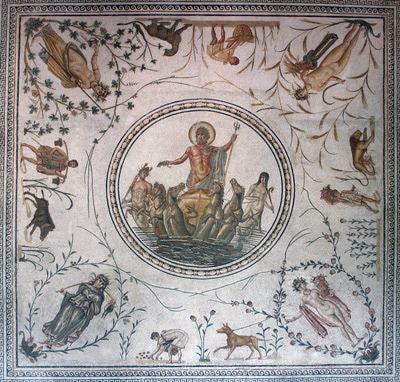 The Greeks and Romans and other ancients loved the seasons, often attributing human qualities to them, a technique called personification, and when they did, they used capital letters. 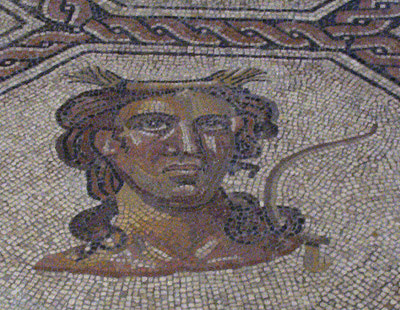 This second century limestone mosaic depicting Summer and Medusa, wearing a crown of wheat stems, can be seen at the National Archaeological Museum, Madrid, Spain. This second century Tunisian mosaic features Spring, Summer, Fall, and Winter (in the four corners) garbed in seasonal attire. This piece can be viewed at the Bardo Museum, Tunisia. Finally, remember, in the most common usages of the seasons in writing, do not use capital letters.